Father of lights, with whom there is no variation or shadow due to change. Nature’s wonder, Jesus’ wisdom, costly cross, grave’s shattered door. This hymn text and the scripture above remind us that God gives with no decrease and no end. God’s love and grace and riches are bountiful! We, who are created in God’s image, are recipients of God’s bounty. We give because we have received much and in response to God’s great love and grace shown to us in Jesus and his death and resurrection, we are invited to return a portion of what we have received. This Giving page offers an easy online way to give back to God through giving to the ministry of Gerrardstown Presbyterian Church. To find out more about GPC please visit the other pages on our website. 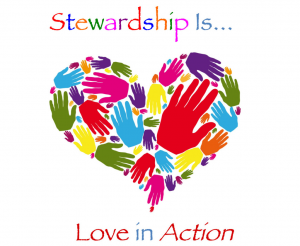 At Gerrardstown Presbyterian, we believe the stewardship of all our resources – time, talent and treasure- is integral to being a disciple of Jesus. If you are interested in becoming a member of GPC, or learning more about ways to invest your time and talent for the glory of God, please contact Pastor Karen at gerrardstpc@gmail.com or any member of GPC. In giving through PayPal, 2.2% of what you give will go towards the transaction fees that PayPal charges for using this convenience, not to the church. When you click on the PayPal button below, you will be taken to PayPal’s website. You do not have to be a member of PayPal or the church to use this service. In order to help make sure your contribution is directed correctly, please note in the ‘For’ section whether it is for the church in general, a particular ministry or a cemetery donation. © 2016 Gerrardstown Presbyterian Church.